Red Cloud's economic development strategy centers on its core strengths of agriculture, government, and health care. Accordingly, Gottsch Feedyards, CPi, the Webster County Courthouse, Heritage Care Center, and The Webster County Community Hospital are some of our largest employers and provide the community with stability and strength. However, we also recognize that developing our Heritage Tourism assets is vital to diversifying our economy and building out the sort of allied businesses that will provide the sort of amenities that tourists and locals alike will enjoy. Beginning in 2003, Red Cloud set itself on the path to develop in a way that is unique for a rural community by restoring the Red Cloud Opera House into a performance space, an art gallery, and headquarters for the Willa Cather Foundation. Cherry Corner Estates, an assisted living facility, was created in 2011. Most recently, the community has created the Heritage Tourism Development Office to foster economic development based on the assets it already has. A number of businesses have sprung to life in 2016-17, with groundbreaking ceremonies and grand openings have occurred for South Central State Bank, On the Brix Tasting Room, Lizzy's, Fat Fox's, The Valley Child Development Center, and The National Willa Cather Center. The Cather Center is a potential game changer as it has retail space, loft apartments, a museum, an expanded bookstore, office space, and more. All of these developments and more led to Red Cloud being named an Honorable Mention Showcase Community in 2016 by the Nebraska Department of Economic Development. With an active Economic Development Advisory Board and a Heritage Tourism Development Office, Red Cloud is primed to build off its current successes and truly become a destination spot for tourists, young families and entrepreneurs looking for opportunities for their families and themselves, and retirees looking for a safe, affordable place to spend their golden years. Heritage Tourism and Economic Development in Red Cloud exists due to a collaboration between The Red Cloud Community Foundation Fund, The City of Red Cloud, The Red Cloud Area Chamber of Commerce, and The Willa Cather Foundation. Accordingly, we take a blended approach to development but will be focusing on further improving the lodging and retail spaces in downtown Red Cloud, improving the housing stock in town, and making Red Cloud a center for culture and arts in the region by supporting events at The Red Cloud Opera House but also by bringing events like Hear Nebraska's Good Living Tour to town and making Red Cloud a a great space for artists. 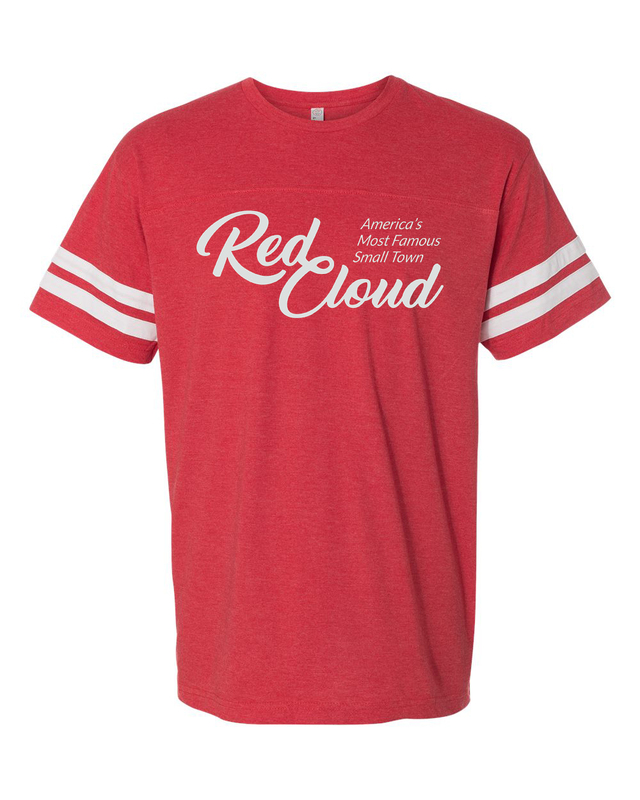 Contact Jarrod McCartney at the Heritage Tourism Development Office at 402-746-2653 for more information about how you can make Red Cloud your destination or call Justin Armstrong, President of the Red Cloud Chamber of Commerce, at 402-746-3238. Tourism is Nebraska’s third largest industry, bringing in over $3.3 billion annually. Few rural communities, however, have as great an opportunity to use heritage tourism as a driver of economic development as Red Cloud. A recent feasibility study which the Red Cloud Community Foundation Fund paid for concluded that the community could be leveraging its cultural assets to a much greater degree. Through a collaborative project with the City of Red Cloud, the Chamber of Commerce, the Willa Cather Foundation, the Red Cloud Community Foundation Fund, and private donors, RCCFF secured funding for the Heritage Tourism Development office. Along with members of the Heritage Tourism Advisory Council, Heritage Tourism Development Director Jarrod McCartney is tasked with finding ways to utilize tourism assets to help promote economic growth. McCartney is particularly focused on improving the lodging, dining, retail and other available amenities for tourists and locals alike. Recently, Heritage Tourism and RCCFF were integral in bringing Hear Nebraska’s Good Living Tour to the Starke Round Barn and in bringing UNL-Extension’s Marketing Hometown Program to Red Cloud. Currently, Heritage Tourism and the RCCFF created this new website and branding campaign for the community and improving the quality and quantity of lodging choices. Additionally, Heritage Tourism is designing a variety of tourist packages in order to take full advantage of the demand for Red Cloud experiences and products. Heritage Tourism has also been the catalyst behind the creation of various Red Cloud social media pages, is actively recruiting small businesses to town, and McCartney is the Chair of the City’s Economic Development Advisory Board. Additionally, Heritage Tourism advocated for the passage of an increase in the lodging tax, thereby ensuring an increase in funding for visitor and tourist related businesses and events. The Economic Development Board will pursue a variety of measures in the next five years, including implementation of the Nebraska Department of Economic Development’s Leadership Certification program for the City of Red Cloud, and many smaller scale community improvement programs. The Economic Development Board will pursue a variety of measures in the next five years, including implementation of the Nebraska Department of Economic Development’s Leadership Certification program for the City of Red Cloud, and many smaller scale community improvement programs.